Many people think that if they can write, they will also be able to do that on their website. However, text writing is quite different from web writing, which has its own laws. On your professional website you should assume that your online visitor scans content instead of reading it. It is therefore extremely important to optimise your content for the online user. We must also take into account the speed of the online experience. People do not like scrolling, especially not long pieces of text. Another important factor is that the contents of your web text determines how high you score in Google and whether visitors do what you prefer them to do on your site. Do you want to know what is important for good content, score high in Google and how to apply this to your professional website? 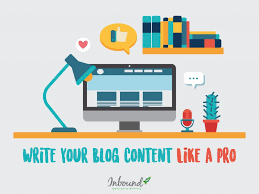 This article will help you on your way writing quality website content! Eyetracking and heatmap surveys show us how the online visitor scans your page. Most of the attention is for the upper part. On a (random) online page, your target group scans according to the familiar F-pattern (stands for Fast). Online users spend 80% of their time on a page looking for information above the fold. This is the visible part if you open a page and do not scroll yet. There is therefore less attention for the bottom of the page. We also know that users have more attention for content on the left, compared to the right. Your user is also more likely to scroll through when the first content he sees attracts attention or satisfies needs. Come straight to the point and be short and to the point (long strips of text are killing). What your site visitor needs is structure. 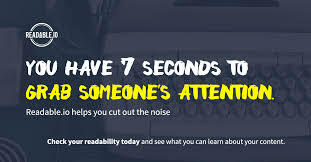 If you consider that a visitor only reads 20% of the words on a page, you need to focus attention on the right content. The challenge is to ensure that your reader quickly recognises which information is important and relevant. Are you wondering how to build a good text? Use the AIDA model as a red thread. Attention, Interest, Desire & Action are the steps that your candidate goes through to the conversion. key concepts can be shown in bold. Keep the AIDA model in mind. The question you need to ask yourself when writing a web text is: ‘What information is my site visitor looking for?’ On a professional website, for example, this could be information about the atmosphere of an organisation, the employment conditions, the projects or people who work there. Try to constantly move in the target group of your site and only give the information relevant to them. The challenge is to connect to their experience and to respond to the information needs. Always write content for an intended target group and live up to it. Always think from the reader. Do I want to sell? Provide information or inspire? For whom do you write the page? Is your target audience young or do you just write for an older audience? Always pay attention to your tone of voice. What do you hope the reader does afterwards? Book a trip, click through or is your goal that the customer comes back more often? You do not write a text for nothing. Visitors must be able to easily find your page and benefit from it. Did you know that 98% of internet users use search engines to find information? Just think about how often you google something ‘just’ every day. Nice and easy! And tell me honestly, do you look beyond the first page? Exactly, most of the time you do not And that is precisely why online findability is so important! Through the correct structure and layout, you make your web page scannable for the reader. But before anyone can start scanning, your page must first be found. By applying SEO to texts, you increase the findability for search machines like Google. It is important to get the right keywords back in these places: the words people look for. This gives Google the possibility to index your page well. Here you put the most important keywords at the forefront and helps to make bold concepts. What are the right keywords for your content? You can search for that by using the Keyword Planner from Google Adwords. You use the keywords with the most search volume for your text. Vacancies, place of employment, job title and company name are often important keywords for vacancies. For more variety in your texts you can also use synonyms ( Google recognises this). One of the best keyword tools in the business is Jaaxy, you can read my full review by clicking here. Now that you know the most important keywords, you can really get started. You only write good content when you stay within your own field and you can share knowledge. This is easy for you to write and that yields texts that appeal to the visitor. And that’s why it’s easy to find. Tip; write in layman’s terms and do not use too much jargon. This way every visitor understands what the text is about and you will have less to do with dropouts. Adjust the tone of the text to your target group: for example, use laymans’s terms to make it user-friendly. Does the text contain a title? And do keywords appear here? Try to put the keyword (s) in the heading. 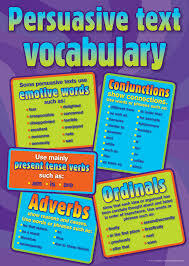 Provide headers above the paragraphs and include keywords here. The first paragraph or introduction is a summary of the entire text. The other paragraphs are used to explain a topic or aspect. Make sure that each paragraph contains at least one keyword. Create a paragraph no longer than a maximum of 5 lines. Read the text again. Does it read easily? And is it clear which message is mentioned? Update the text regularly. This ensures that the website is active and becomes and remains interesting for visitors. Quality website content is the key to your success in the internet business. Write as much relevant, engaging and informative content as you possibly can. It will greatly help when you, in choosing your niche, you take it from one of your passions, interest or hobbies. 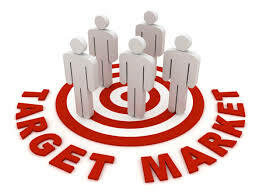 Click here on how to find the right niche! Would you like to become an internet entrepreneur? Many have preceded you, however, it is also possible for you with the right support. Join Wealthy Affiliate (WA) and start your own successful online business. The first week is completely free. Read here my full review on WA. 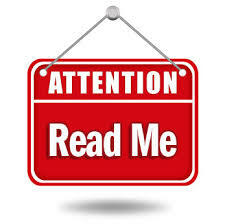 In case you have any questions, please leave them in the comment box and I will be back to you within 24 hours. Great Post! I recently just finished my college course in web marketing, and I have to say, the information that you have presented here is everything that we learned and more. You really break the information down thoroughly and take us through each step. I also appreciate the visuals that you have incorporated into your post. Really nice work. This was definitely informative, thanks for this! Good to read that you, as a college student, could still learn something from this article. I will continue doing what I m doing, which is mainly trying to help people.